The Galaxy Note 8 is an incredible phone. Back when I reviewed it for PCWorld I gave it the highest possible score and raved about its display, still the greatest I’ve seen in Android phone. The dual camera delivered impressive portraits and lush landscapes, and the battery powered through the busiest of days. In short, it was the best phone I had ever used and I thought it would be a long while before anything topped it. I was wrong. Apple’s iPhone X not only beats the Note 8, it practically makes it seem obsolete. 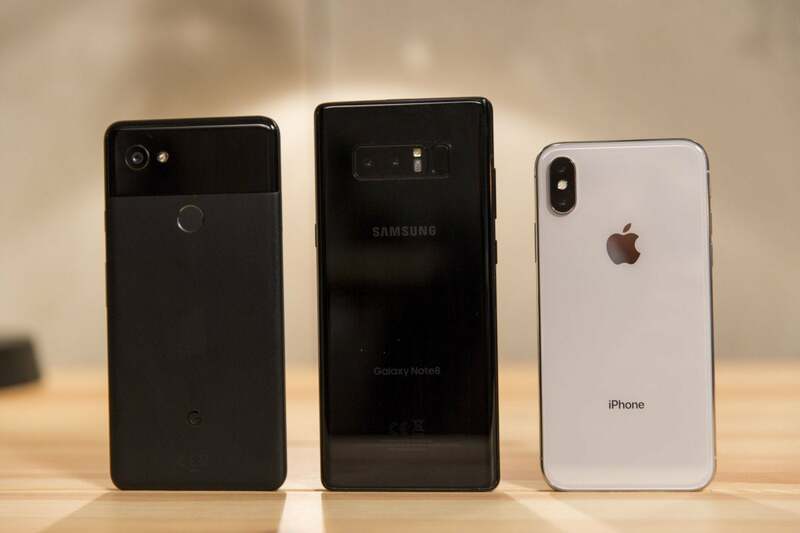 I’ve tested a wide array of Android handsets over the past 12 months, and I can confidently say that none are in the same league as Apple’s newest handset. And only a couple come close. Quite frankly, it’s hard to even describe how much better iPhone X is without using it for a stretch of time, and most Android fans will never get that chance. That’s a shame. It wasn’t until I spent a day or two with iPhone X, going back and forth with the Note 8, Google Pixel 2 XL, and LG V30 that I could see just how much of a triumph it is. Samsung might need its own Note X just to catch up. Before we debate the benefits of the notch, let’s talk about the display. Yes, Apple is playing catch-up here. 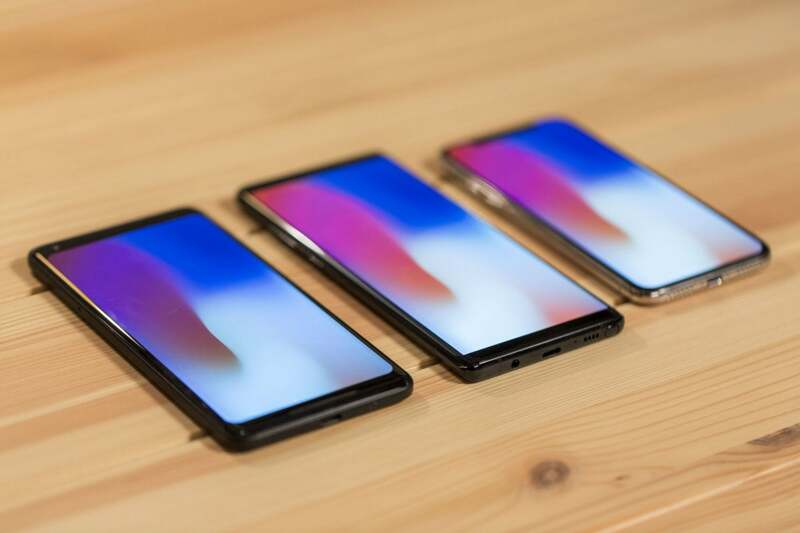 Android phones have been using OLED displays for years, and while Apple might have made the best smartphone LCDs in the business, they were still a notch below the superior color-handling and power efficiency of the best OLED phones from Samsung and Google. So, I didn’t expect to be blown away by Apple’s first OLED. As I said, iPhone displays have always been superior, and I assumed iPhone X would be more of the same, a marginal improvement over iPhone 8’salready great True Tone screen and on par with what I saw with the Note 8. That’s not the case. Apple has worked wonders with its Samsung-sourced OLED display for iPhone X. It’s accurate without being dull, bright without bring harsh. And while the Note 8’s screen is technically brighter based on my light meter tests, iPhone X is just as readable in direct sunlight. And with True Tone turned on, I don’t even have to manually increase the brightness. Keep in mind this is out-of-the-box calibration. With Android phones, I generally spend a few minutes cycling through the various screen modes to find the most pleasing one. With iPhone X there aren’t any settings or switches to play with. While the Note 8’s quad HD 1440p display is again, technically superior to the iPhone X’s 1125p one, that advantage is neutralized by Apple’s tremendous calibration. Even if I could adjust the colors, I wouldn’t. And it puts the Pixel 2 XL and LG V30 to shame, both of which have LG-made displays. The V30's screen has similar issues as the Pixel 2 XL, which have been well documented, but they are amplified next to iPhone X. While my Pixel 2 XL test unit hasn’t exhibited any image retention, it does have a noticeable blue hue that overtakes every color, even at slight angles. But aside from that, there’s no denying the overall dullness of it. Even with the new boosted and saturated settings switched on, there’s still a general flatness to the display that’s hard to miss when compared to iPhone X. And little things I overlooked about the Note 8—particularly the smooth feel of gesture animations thanks to iPhone X’s 120Hz touch sample rate—became glaringly and distractingly obvious. I do prefer the size of the other phones (particularly the 6.3-inch Note 8), and I’m hoping the rumors of a Plus size next year are true. Also, I very much miss the always-on display when using iPhone X, something that’s a staple on Android flagships. But to say that iPhone X has the best display I’ve ever used might actually be selling it short. It’s likely to be better than the ones in next year’s crop of Android phones too. 2017 has been something of a watershed year for smartphone design. While it was starting to seem as though we were approaching the limits of what could be done with glass rectangles (iPhone included), Samsung, LG, Essential and others pushed the envelope by dramatically trimming the bezels and tweaking the standard 16:9 screen ratio to make their phones easier to hold and use. Apple follows that path with iPhone X but also manages to break new ground. Lying on a table, iPhone X looks a lot like LG’s V30, with a wraparound chrome edge sandwiched by two pieces of curved glass. But while the V30 and most other 18:9 Android flagships have slivers of glass above and below the screen, iPhone X is the first to truly go “all screen.” Now, you can quibble over that characterization since there is a healthy bezel going around the entire edge of the display, but the symmetry of the design does make it seem like you’re truly holding nothing more than a screen. That’s not an iPhone X Plus. 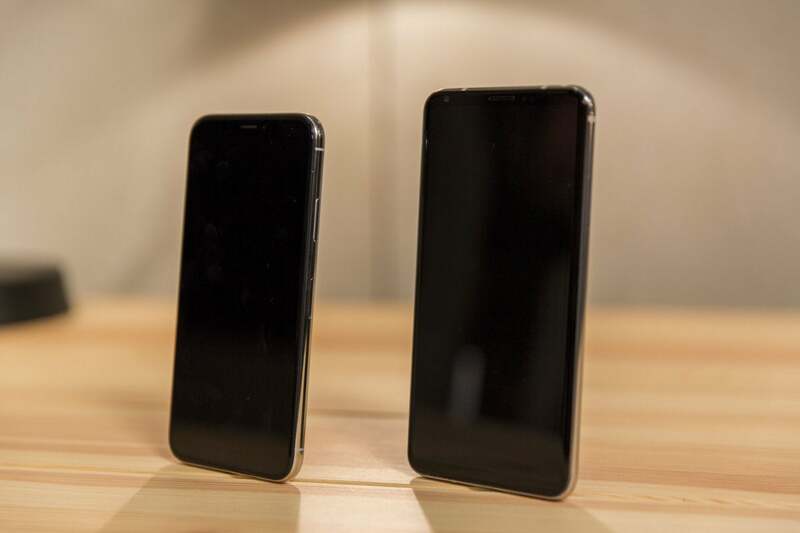 That’s just an LG V30 next to iPhone X. Of all the Android phones, I prefer the Note 8’s boxy shape and overall aesthetic, but Apple’s design still wins out. I particularly appreciate the corners of the screen, which are perfectly rounded, unlike the V30’s rough edges and the Note 8’s somewhat beveled ones. The sloped edges of the Note 8’s Infinity Display might feel a touch more luxurious, but iPhone X is nothing less than a dramatic leap ahead in smartphone design and will no doubt spawn a slew of imitators. The corners of iPhone X’s display are perfectly round, unlike the V30 and Note 8. Which brings us to the notch. I’ll admit to being extremely skeptical of it based on photos I saw, but in reality it makes a lot of sense, if for no other reason than the aforementioned symmetry. The notch doesn’t upset the visual balance of the phone like a full strip of glass does, and it does a nice job of tucking the status bar out of the way without sacrificing precious pixels. When the status bar disappears, pictures elegantly fill every corner of the display, and developers are already experimenting with cool ways to use the “horns” to their advantage. The only time it’s distracting is in landscape mode, but even there, it’s worse in pictures than in practice. The next race will be the one to deliver the first edge-to-edge phone without a notch, and I suspect Samsung or LG will beat Apple to the finish in that one. It might not be as functional as the home button, but the notch is going to be Apple’s new defining characteristic for the iPhone. 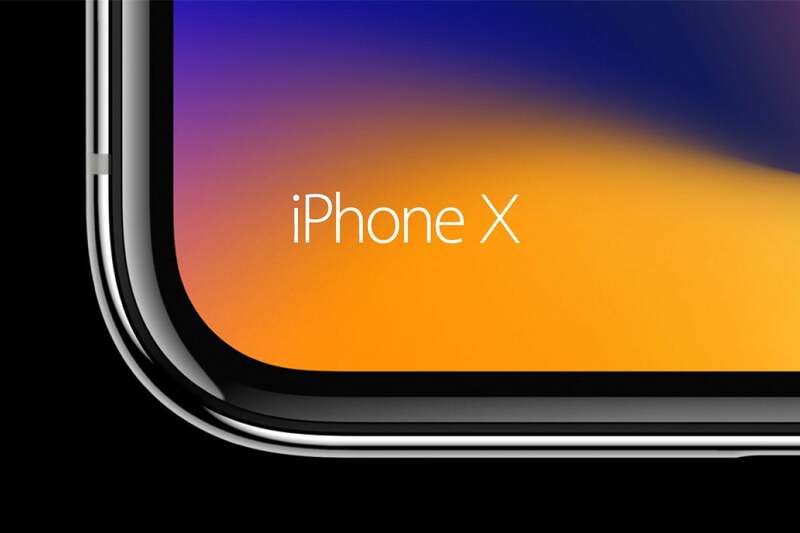 And in an era where it’s getting harder and harder to tell flagship phones apart, the notch gives iPhone X an unmistakable identity. But numbers don’t tell the whole story. Case in point: The iPhone 8 Plus has a smaller battery than the iPhone 7 Plus (2,691mAh versus 2,900mAh), but there’s no noticeable dip in longevity. Granted, you’ll still need to charge it overnight, but it should be able to power though as long of a day as the 7 Plus. In short, Apple's iOS efficiency and battery optimization lets it do a whole lot more with less. It’s true that iPhone X experienced the biggest draw, but considering the size of its battery compared to the Pixel 2 XL and Note 8, I expected the gap to be much bigger. The same was true with other tasks I tested. iPhone X was consistently a couple of percentage points below its Android counterparts, but nothing that would suggest it had such a smaller battery. As such, by the end of the day I was usually in the red with iPhone X and the V30, near the red with the Note 8, and around 25% with the Pixel 2 XL. I can live with that. That being said, it’s irritating that Apple refuses to put bigger batteries in its flagship phones. Next year’s Android phones will likely all have 4,000mAh batteries and we’ll be lucky if the next-generation iPhone X has topped 3,000mAh. That shouldn’t be the case for a $1,000-plus phone, even if Apple has optimized the heck out of it. If the iPhone X had a 3,500mAh battery like the Pixel 2 XL, it would likely last well into a second day and possibly a third. Charging is another point of contention. While iPhone X finally supports wireless charging and fast charging, Apple still ships a tiny 5W charger in the box, which only charges slightly faster than a slow-as-molasses wireless charger. Android phones, meanwhile, all ship with a chargers capable of actual fast charging. To replicate the experience with iPhone X, you’ll need to purchase a $19 12W USB power adapter. 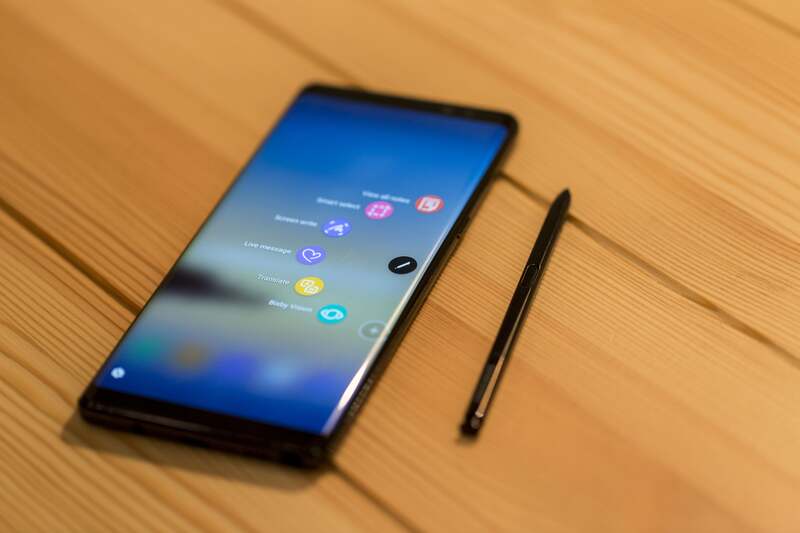 When it comes to wireless charging, the Note 8 faired best when connected to the Samsung Fast Charge Wireless Charging Stand (which also charges the iPhone X, albeit slower), filling up about 10 percent more than the other phones per hour. The LG V30 was roughly in line with iPhone X, and the Pixel 2 XL doesn’t support wireless charging. It’ll be interesting to see how Apple’s AirPower handles charging speeds. Apple hasn’t offered much in the way of tech specs for its new charging mat other than that it will charge three devices simultaneously, though the upcoming iOS 11.2 update will increase wireless charging speeds from 5W to 7.5W. 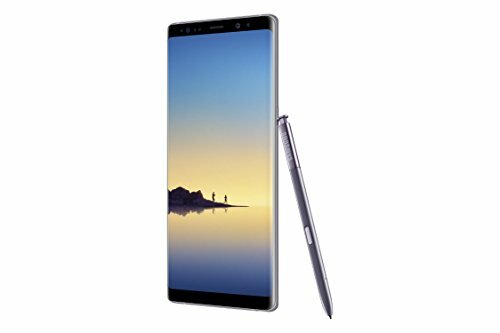 0 Response to "iPhone X versus Android's best Galaxy Note 8: A surprisingly lopsided affair"